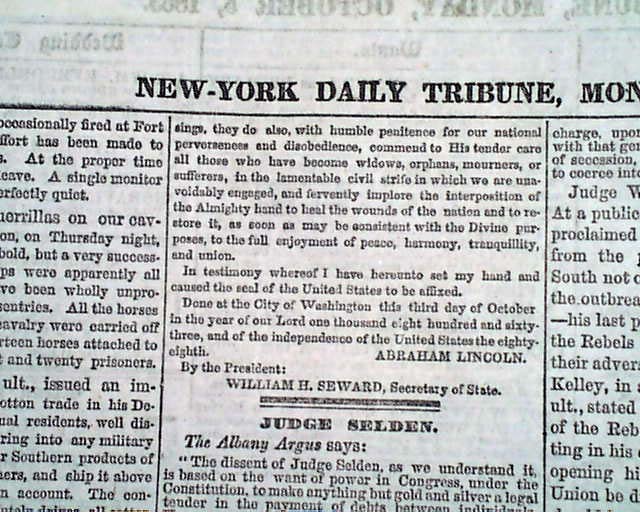 NEW YORK DAILY TRIBUNE, October 5, 1863 Although almost every President since George Washington has issued a proclamation for a "day of thanksgiving", typically celebrated in November but at other times of the year as well, it was Abraham Lincoln who formalized Thanksgiving Day to be celebrated the fourth Thursday of every year and making it a national holiday. 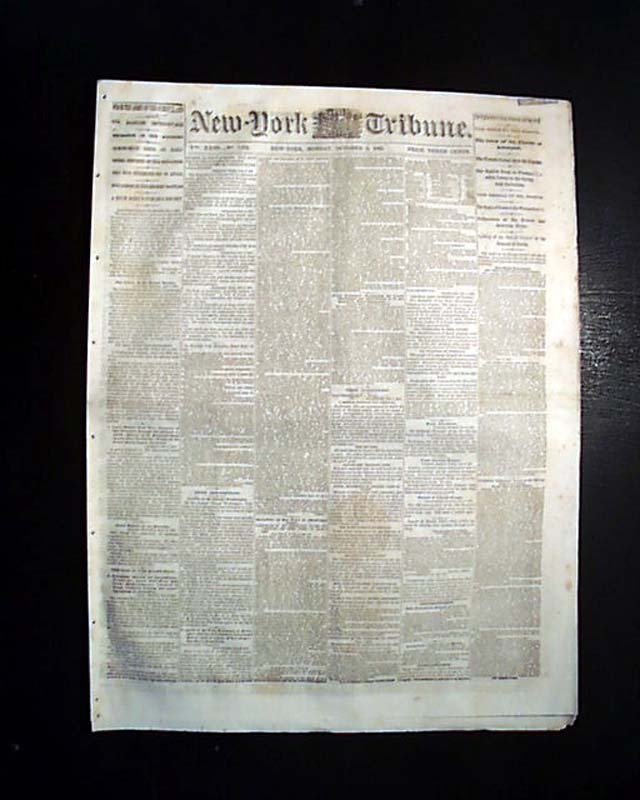 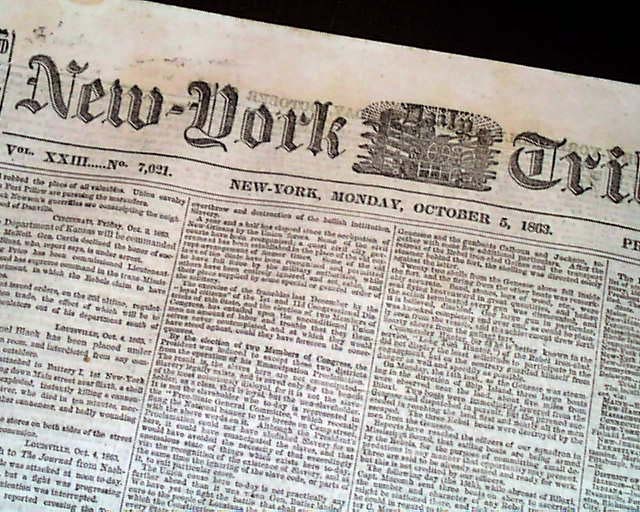 On page 4 is the complete text headed: "The National Thanksgiving Day" "A Proclamation by the President of the United States of America" which is signed in type: Abraham Lincoln. 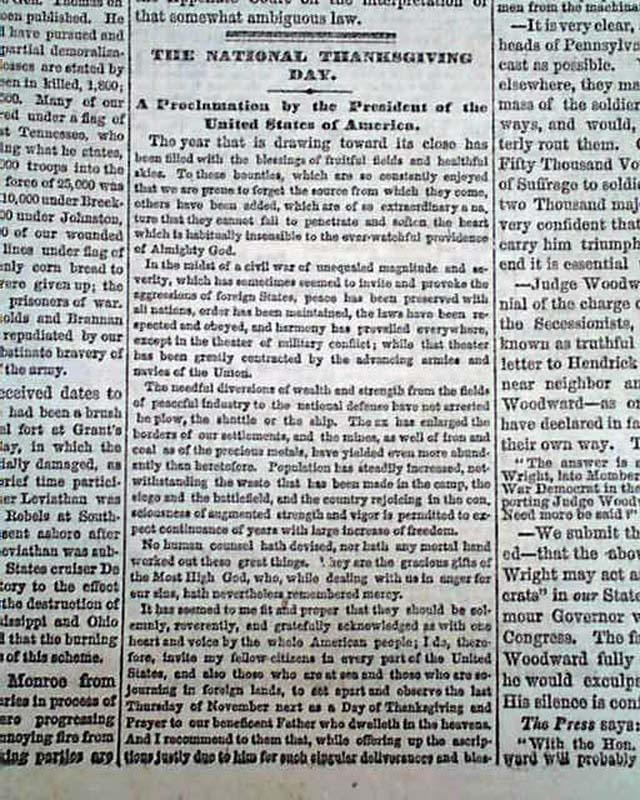 There are numerous websites giving the complete text of this Proclamation--identical to what appears in this newspaper (see). 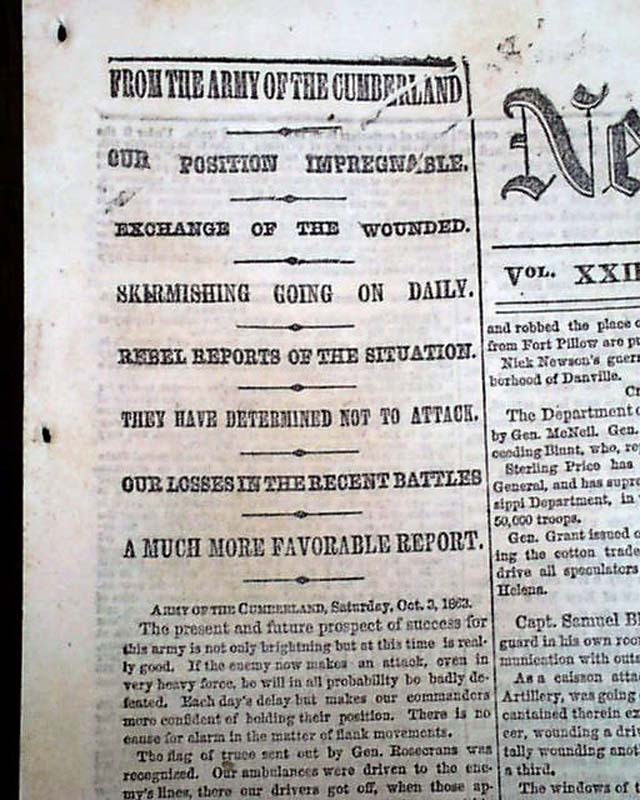 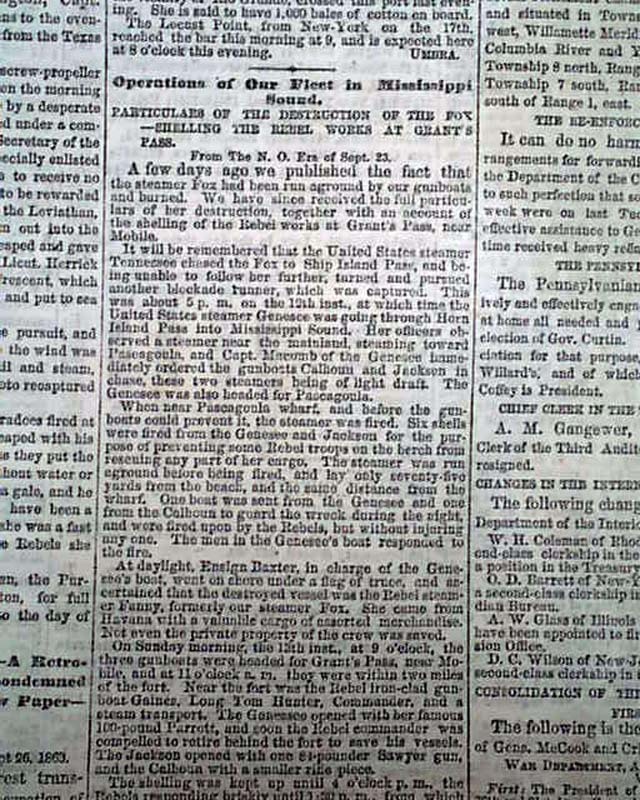 Additionally, this issue has front page reports on the Civil War but they pale in comparison to the significance of Lincoln's Thanksgiving Day Proclamation. 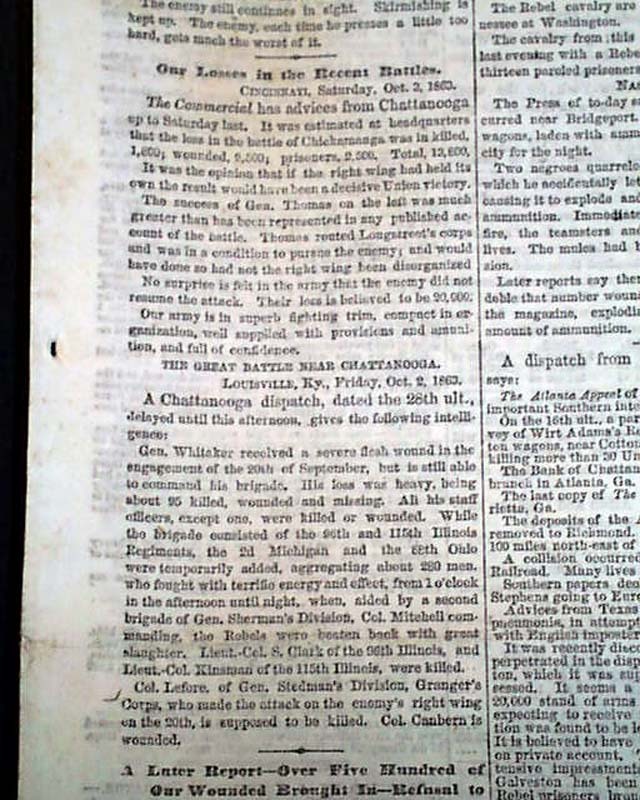 Complete in 8 pages, string-bound only and never-trimmed margins, in very nice condition.